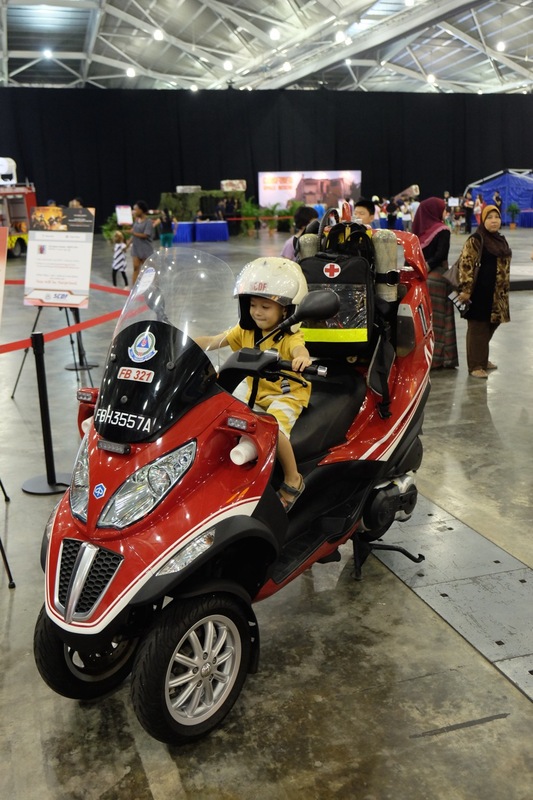 Benefits: it is both play and learning for children; children get to play grown ups trying out the big engines and life saving technologies; children learn about different professions early on, the experience will instill in young children an appreciation for the men and women who dedicate themselves to saving lives. 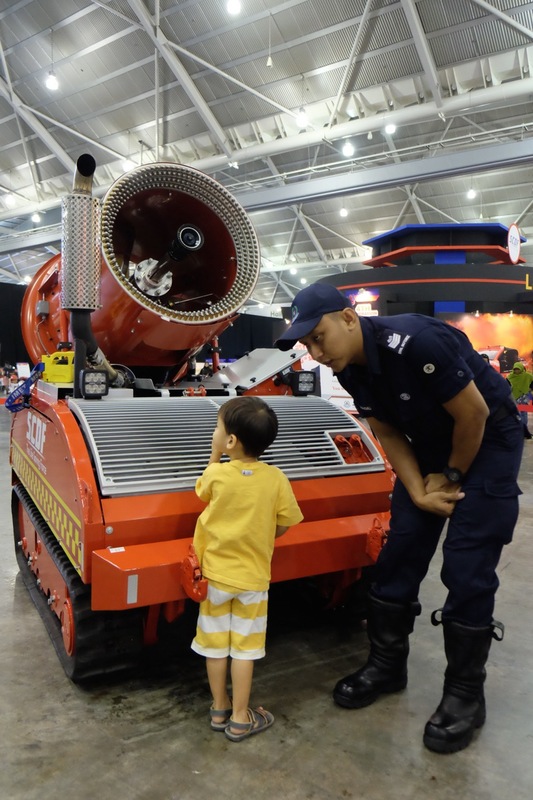 The Unmanned Fire Fighting Machine (UFM) is a versatile fire-fighting unit built to operate under extreme and complex conditions. 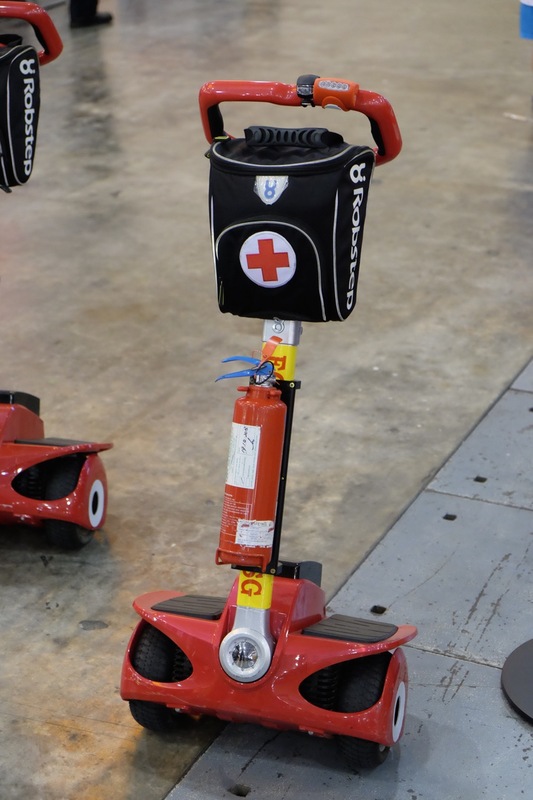 Remotely operated, it frees up frontline resopnders for other critical tasks (e.g rescue and evacuation) and at the same time, enhances their ability to penetrate and work in dangerous conditions. 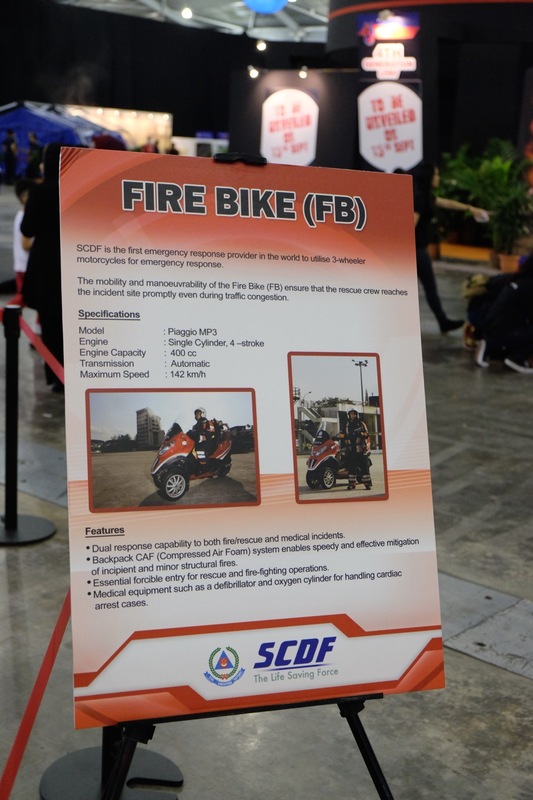 The Fire Bike is the first emergency response provider in the world to utilise 3 wheeler motorcycles for emergency response. Check image for more information on this new Fire & Rescue technology. The Robstep —quick to the rescue! So do… believe that an investment in fire and rescue technology is money well spent. You’ll never understand how critical it is until the day you need it. 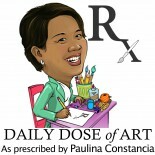 This entry was posted on March 5, 2015 by Paulina Constancia in Bond, Explore, Teach and tagged family bonding, kid friendly.